The crew at GetMyBoat wants everyone’s experience on the site and on the water to be as enjoyable and profitable as possible. We do our best to make the process for both owner and renter an amazing one, but, in the end, it comes down to the experience shared between the two of you. When you make your renters feel loved, if you give them a personal, meaningful experience when they take your boat out for the day, they may choose to rent your boat again, or tell a few friends about it. They may leave you a glowing review, which will encourage others to rent your boat in the future. Everyone loves personalized experiences, so here are a few tips that will help give that extra touch to your renters. One of the very first things you will want to do, is check that your boat or experience is properly categorized. You can select up to three different category types for your listing, with one of those being a primary category. These categories will help customers find your listing out of the thousands we have listed. Here are some of the top categories for our owners to list their boats and experiences. It may seem easier to put off an email reply or phone call for later rather than answering it right away. When you reply to a potential renter soon after their inquiry, it shows how excited you are to share your watercraft. The sooner you respond to a renter, the more likely they are to rent from you. Additionally, should they have any questions or concerns while out on your boat, being both available and responsive will make your renter’s experience that much better. We also recommend downloading our mobile app (available for iOS and Android) for managing booking inquiries on the go. Plus, if you enable push notifications, you'll never miss a message or a customer request. Does your pricing change throughout the year? It is always best practice to change your rates when the season changes so that renters know what the most recent pricing will be and are not shocked when they get a detailed quote from you. If you offer standard tours or packages, you can also detail those outings and pricing in the listing description. This gives customers an idea on places they can visit with your boat and the costs associated with it. 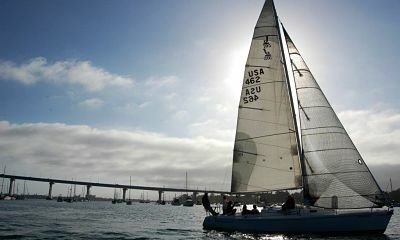 Boats that have multiple, high-quality images are rented more often than those with pixelated, unflattering photographs. It is always best to have more images than less, so don't be shy and add pictures that highlights all of your boats beauty. Share your boat with friends and family on social media. You have the opportunity to share your listing with everyone in your social network, from Facebook and Twitter to LinkedIn and Google+. All it takes is a click or two, and you have expanded your audience tenfold. Ask them to share it with their friends. The more your link is shared, the more views it will receive and the higher the likelihood that it will be rented. Stand out as a boat owner. Do something that gets your renters to recommend you to their friends. Is a family taking the boat out for a few days? Leave films likes Finding Nemo and The Little Mermaid for the kids to watch at night. If you are chartering your boat, dress up as a pirate. Send your renters off with a farewell wave and be at the dock when they return, welcoming them back to land. When your renters feel appreciated, they will share their experience with their friends. While being responsive, setting up detailed pricing and availability, having the highest quality photography and videos, leaving reviews, and sharing your listing with your social networks may not guarantee a customer for life or an influx of new renters, it certainly helps. The renter will certainly appreciate your thoughtfulness and excitement, and you may experience an increase in rentals. That means more money for you, and more time on the water for your boat. So go ahead, make waves with your renters.